A Mr. Fain, late of Georgia, had a grand jury subpoena for Andrew Reeder, Kansas’ first governor and present delegate to Congress under the free state government. He took it to Reeder on the evening of May 7, 1856. The delegate decided that he didn’t care for an arrest just then, pointed to irregularities in the warrant, and sent Fain on his way. The next afternoon, he saw Fain in Lawrence. Reeder’s “Georgia friend” came to town with an armed posse. He went upstairs to speak with Mordechai Oliver, the Howard Committee’s lone proslavery member. He soon came into the room and informed me he had an attachment for me. The room in question housed the committee’s proceedings. They had gotten to their fourth witness of the day and eighty-seventh overall, Joseph Steward. He had information for them on the elections for the Kansas legislature. Reeder declared, as he had the day before, that he had privilege from arrest thanks to his status as Kansas’ delegate to Congress and asked the committee to protect him. The Howard Committee had that power and Congress had sent them to Kansas with a sergeant-at-arms specifically so they could arrest anybody who tried to interfere with their business and haul the guilty party off to Washington for contempt of Congress proceedings. They decided they had no power to interfere, but Howard and Sherman expressed a positive opinion in favor of my privilege from arrest; Oliver differing from them on that point. I then stated how I was privileged, made a full explanation, and declared that I would protect myself, and warned the officer that if he arrested me, he did so at his peril. That sufficed; Fain took Reeder at his word and departed. 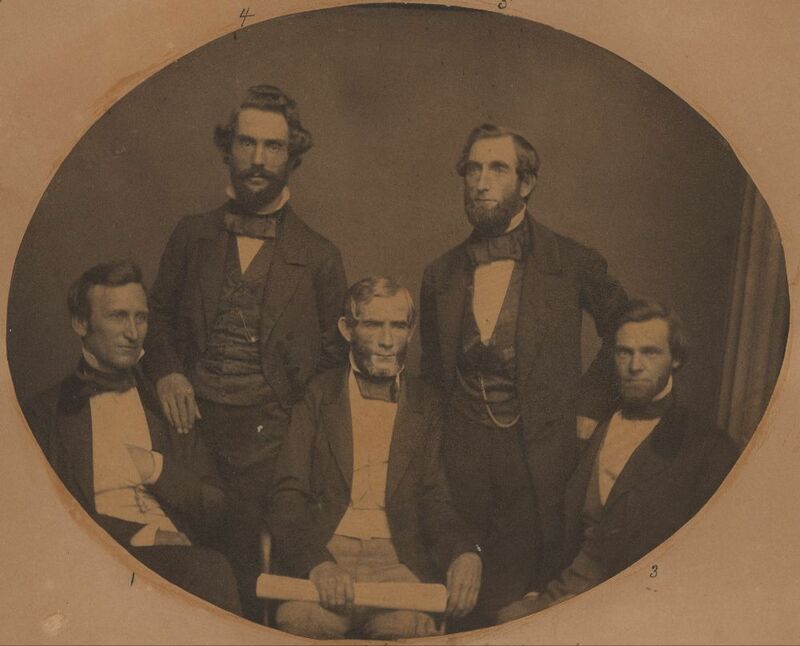 He had a posse with him, but may not have wanted to seize Reeder in front of the congressmen. Given how well Sheriff Jones’ arrest attempt had gone for him not that long ago, and Fain’s previously-expressed concern for his safety probably played a major role in his decision. Jones got shot while in the company of United States soldiers and Fain lacked such an exalted bodyguard. Reeder’s travail did not end there. He and the free state leadership agreed that Reeder should submit to arrest in time, which would put him in Lecompton without bail for at least six months. The delegate got word that if he went, he would be “in danger of nightly assassination and daily insult.” Given the option between fighting the good fight, either in Kansas or Congress, and risking his life “in some miserable dog-hole”, he would rather pass on the latter. That evening he wrote to Governor Shannon and Lecompte promising that if he had their guarantee of safety and ability to return to his work on the committee at the end of his questioning, he would come before the grand jury as required. He did that on the advice of unnamed friends and likewise mulled with them whether he should wait on an answer, ready to fight it out if the posse came, or quit Kansas. Reeder’s friends came to no consensus for him save that if the US military got involved, as they had on Jones’ behalf, he must submit. We left Andrew Reeder, Charles Robinson, and probably the antislavery members of the Howard Committee. They had news of indictments handed down against Reeder, Robinson, and most everyone else who held office in the illegal free state government of Kansas territory. They agreed that Reeder should submit to arrest, as his national reputation would make him an ideal rallying point for the free state party’s friends abroad. Robinson should get out of Kansas and set to work raising money, men, and guns. It might come to armed rebellion at last. If it did, the free state men resolved to fight it out and hope for the destruction of the proslavery territorial government. They had to act soon, or Samuel Lecompte’s grand jury would have the entire leadership imprisoned before the fall elections. Reeder’s diary puts this all as happening on May 7, 1856, a Wednesday. Next, “toward evening” a Georgian named Fain called on Reeder and “very politely” told the delegate that he had a subpoena for him. I requested him to let me see it, and he handed me a copy. On looking at it I discovered that it was very irregular in form, and, as I was not yet ready to be arrested for treason, I determined not to obey it. I accordingly so informed the officer, giving, as the reasons, my privilege as Delegate in Congress, and the informality of the subpena. The Congress itself hadn’t decided on whether or not Reeder had any privilege as delegate, but he persuaded Fain not to make an issue of it. Instead the Georgian took his leave and came on Reeder’s grand jury informant, James Legate. Fain asked Legate where he might find Charles Robinson. Legate told him that Robinson had gone off to Topeka. Fain felt sure enough in Tecumseh, but Topeka worried him. He asked if he could go and conduct his business there in safety. Legate mischievously told him he did not know, that he must run his own risks, which so alarmed the Georgian that he at once turned back to Lecompton. The same evening we went back to Topeka; stayed till after breakfast the next day. Reeder doesn’t say it in so many words, and Robinson declines to note his movements in detail, but it sounds like Legate told Fain that Robinson had gone while the governor remained nearby. Reeder’s “we” might or might not include the governor, but he says that Fain “was told” Robinson had gone rather than that the governor actually had. saw my Georgia friend of yesterday come in and go up stairs for a consultation with Major Oliver, and some friends; had a small posse with him, all armed. 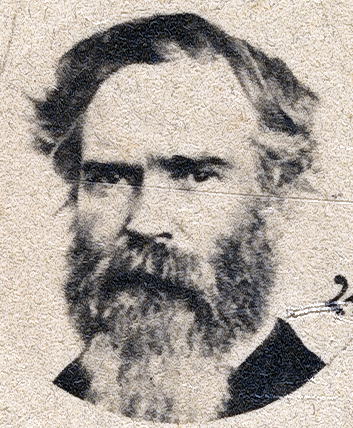 James F. Legate served on Samuel Lecompte’s grand jury. After they voted to arrest the free state leadership and destroy the Free State Hotel and suppress Kansas’ antislavery papers, he went to warn Kansas’ former governor and present free state delegate to congress, Andrew Reeder. Reeder and the leadership put their heads together at Lawrence and decided that they might soon need to fight with guns as well as words. They made emergency plans to call together the state legislature to bulk up their institutions and endow them with a stronger legal basis. Governor Charles Robinson would go East “to raise men and arms”. Except for the travel plans, Robinson already did that job as the Emigrant Aid Company’s agent in Kansas. Reeder would stay behind and submit to arrest, his high profile making him the ideal choice for public relations. We did not determine what we would do as a last resort in case the General Government took the field against us, and gave us the alternative of backing our or levying war against them. This would not be the silly sham treason for which indictments are found now, but actual treason at least in the latter, although as holy and glorious in spirit as the dawn of the Revolution of ’76. Robinson declares that at least we will wipe out the d—-d Territorial Government absolutely and effectually, and to this we all assented. there was a possibility of a general conflict of arms; that should it be impossible to avoid such conflict without a surrender of the Free-State cause, it must be met, and if met the Free-State men should take issue rather in defense of the State organization than offensively against the territorial. Robinson stresses the contingency of the choice for arms more than Reeder does, but he agrees in substance. 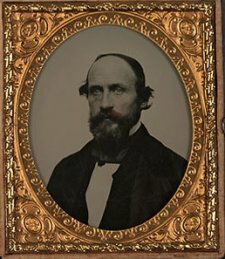 The free state governor might prefer peace, out of conviction, disposition, or circumstance, but he had asked the legislature to vote up an army and stood high in the ranks of the Kansas Legion. Battle with the United States would put them on new and much more dangerous ground, but free state militias had already mustered to fight border ruffians. In contemplating the Union itself, at least in Kansas, as an instrument of the slave power deserving forcible resistance they put themselves in line with the rescuers of fugitive slaves and diehard abolitionists in just the way they had vigorously denied only months before. Samuel Lecompte’s grand jury ordered the arrest of the free state leadership, which brought their plight to a new low. Mobs had come to destroy them back in December, but that time Governor Shannon brokered a peace. He ought to have done, considering he did his best to get the border ruffians to Lawrence to start with. Now the free state men faced down the territorial judiciary. They had long feared such a confrontation, probably all the way back to the passage of the laws against antislavery politics. According to Andrew Reeder’s diary, which may benefit from some hindsight, they had the sense that the chances of legal action had lately increased. Reeder reports that on May 6, after seeing witnesses with the Howard Committee, he had tea and then returned home alone through the woods. He considered that a “rather imprudent” choice. The arrest orders went out on the day previous, though he didn’t know at the time. Learned from the best authority (a grand juror and others) that the plan we had so often heard of was about being carried out, to paralyze the Free-State party; that the grand jury now in session at Lecompton had been charged by the court [….] that not only all the officers of the State Government, but all the judges of election, were indictable. Reeder says that similar things had happened previously, but no one had pressed the case and drunken jurors lost the indictments in the street. Lecompte, who Reeder calls “a man of frivolous mind, little ability, less integrity, great perversity and indolence, and limited knowledge of the law” had presided over that court as well. Fortunately, grand juror James F. Legate, went to warn Reeder. It is agreed also that some one shall go East to raise men and arms to prepare for this emergency, and for several reasons that Robinson would better go, after issuing his proclamation for the Legislature to assemble, leaving Roberts to act in his place. I suggested that I would like to have them try one of their indictments for treason on me, and that perhaps I should better be arrested. 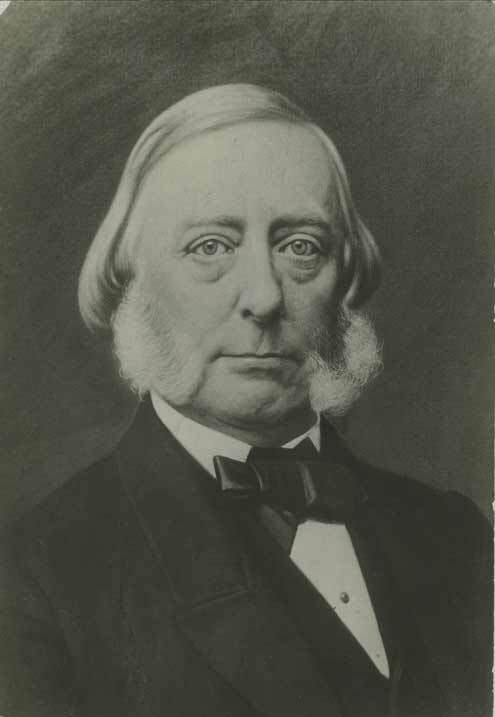 As the former governor, Reeder likely had the name recognition to make political hay out of his captivity. He aligned with the free state party now, but had come to Kansas a regular National Democrat bearing a commission with Franklin Pierce’s signature. No one could mistake him for an antislavery radical or a tool of New England abolitionists, both descriptions that applied justly to Robinson. They could damn Kansas’ first governor as an aggrieved spoilsman bent on revenge, but that accurate charge only made Reeder an ordinary politician. The fact that proslavery men would come for him along with the radicals would do much to prove that they had, in fact, taken it on themselves to trample the rights of all white men. Samuel Lecompte, the slaveholding Chief Justice of Kansas Territory, instructed his grand jury about treasonable behavior. If anybody in Kansas did something so wild as placing themselves in opposition to and resisting the laws of the territory, then they resisted the laws of the United States too. That made them traitors and the jurors must act even if they had no evidence that treasonable action had occurred. Organization and intent to resist counted just as much. The judge went so far as to practically order his grand jury to indict free state leaders by name, running down a list of the offices they occupied in the wildcat government. They acted accordingly, ordering the arrest of the free state leadership. George Brown’s paper had done all of that, with the possible exception of the assassination business. So had The Kansas Free State, with whom he often feuded. The grand jury advised “their abatement as a nuisance.” In other words, the law should shut them down. The nineteenth century didn’t have our First Amendment scruples. People across the political spectrum agreed that speech of certain sorts did not suit public order and deserved suppression, much as some of us still believe of what we consider obscenity. Under that theory, southern states had often acted to keep antislavery publications from circulating. we are satisfied that the building known as the ‘Free-State Hotel’ in Lawrence has been constructed with the view to military occupation and defence, regularly parapeted and portholed for the use of cannon and small arms, and could only have been designed as a stronghold of resistance to law, thereby endangering the public safety, and encouraging rebellion and sedition in this country; and respectfully recommend that steps be taken whereby this nuisance may be removed. I don’t recall seeing that claim except in proslavery sources, but given that the free state men had erected earthworks in Lawrence and used the hotel as a redoubt back in December, it sounds reasonable. All of this comes together for a comprehensive program of suppression. The proslavery party would arrest the leaders of the opposition. In the nineteenth century, newspaper editors served as important agents for political parties too. Thus the papers must go as well. Then the proslavery side would take even the means of armed resistance away. A majority of Kansans might still oppose them, but without leaders or a voice to organize that resistance they could not hope to prevail. A grand jury acting under the instructions of Chief Justice Samuel Lecompte, a Pierce appointee and slaveholder, issued warrants to arrest Charles Robinson, Andrew Reeder, James Lane, and several other prominent free state men. The proslavery party now had the legal weaponry it needed to decapitate their enemies, end the free state government, and complete their paper conquest of Kansas Territory. No one could have mistaken Lecompte’s end, but his reasoning bears looking into. William Addison Phillips has the text of Lecompte’s “most remarkable charge”. It deserves a look. Lecompte began with an ordinary statement of what a grand jury needed to do: look into any possible lawbreaking that came up and issue what indictments seemed proper. As it happened, the Chief Justice had one in mind. Your attention will naturally be turned toward an unlawful, and before unheard-of organization, that has been formed in our midst, for the purpose of resisting the laws of the United States. To resist those laws meant to defy the Union, not some mere territorial government. To fly in the face of the authority of the United States made men disloyal and “guilty of high treason.” Thus, should the jurors find any such men who had defied the laws, by the strength of their oaths they had a duty to indict them. If the jurors found no active resistance, but organizations devoted to it all the same, then they must indict for the crime of “constructive treason”. Treasonable intention in itself sufficed. We might take all of this as so much bluster. Talk about treason has permeated Kansas affairs in one way or another for as long as antislavery Kansans have chosen to resist their illegitimate government and Lecompte’s instructions to the jury fit neatly into that tradition. But we should not forget that he occupied a federal office of real authority. The Squatter Sovereign could gas about treason all it wanted and never have it come to much. When a federal judge deemed a person a traitor, they stood a good chance of soon decorating a gallows. Given a proslavery sheriff got shot in Lawrence on the night of April 23-24, 1856, proslavery witnesses did not feel safe coming to the town to give their testimony to the Howard Committee. Business went on all the same, with the committee hearing from more than sixty witnesses in Lawrence before decamping to Tecumseh. That occupied them up through May 3, including an attempt to get Sheriff Jones’ testimony. At John Whitfield’s request, they sent a sergeant-at-arms off to Franklin to inquire if he had recovered enough to speak to the committee. Jones had not. There was no difficulty in obtaining witnesses or testimony, but, as a rule, the witnesses on one side would only testify in Lawrence, and those on the other in Lecompton or Leavenworth. They were like soldiers in hostile armies, careful to keep outside of the enemy’s camp. Both parties had good reason to distrust the other going back near to two years now, though Charles Robinson proved willing to brave the proslavery capital at Lecompton; Sherman noted his hostile welcome there. The committee’s work continued for some time, but soon faced a different obstacle. Just as a warrant for Samuel Wood’s arrest had led to Samuel Jones’ shooting and complicated the business of hearing witnesses, another set of warrants intervened. Lecompte, at the opening of the court, delivered a most remarkable charge to the grand jury, in which he specified that they should indict those persons for certain offenses. He urged the grand jury to do so, and not to be deterred by the fear that the laws of the territory or the process under such circumstances would not be executed; assuring them that there would be force to execute them. He also told them they must not hesitate to indict these persons because they were sincere in their opinions, and cited the early witchcraft history of Massachusetts, to prove the impropriety of being regulated by sincerity. in the madness of partisan strife, under the provocations of unprincipled leaders, when the laws of the territory were denounced as ‘bogus,’ their authority defied, and an opposing legislature, without semblance of authority, set up, when insurgent military forces were organizing, equipping, drilling-that, I say in such untoward circumstances, the judiciary should have felt called upon to instruct the grand jury upon the subject of treason, that the grand jury should have made presentments, and the district attorney preferred indictments, can hardly be a cause for wonder. In other words, the free state leadership now had warrants out for their arrest, just as Samuel Wood had when the latest unpleasantness around Lawrence began. Samuel Jones might not serve them, but someone would soon come to town to follow in his footsteps and collect Charles Robinson, James Lane, and Andrew Reeder. The Howard Committee had a problem. They had come all the way out to Lawrence to gather testimony on how Kansas had gone so badly wrong as to end up with two governments, both of which elected a delegate to Congress. They put the dueling delegates, John Whitfield and Andrew Reeder, in charge of making the case for their respective parties. The night after their first meeting in the unofficial free state capital, someone shot Samuel Jones in the back. The attempted assassination of one of the proslavery party’s most militant field leaders in Lawrence did not make a visit appealing to many proslavery witnesses. John Whitfield gave notice that his people, understandably, no longer felt safe in coming to town. at their earliest convenience, at any suitable place, giving you ample notice and the benefit of our subpoena to collect as many witnesses as you may desire, at such place as you may designate. Name the place and the committee would come to hear Whitfield’s evidence. They could hardly deny the safety concerns for his people after what happened the night before and meant to go around Kansas for the convenience of witnesses anyway. However, they would not just abandon Lawrence and informed Whitfield that he ought to stay around. They had antislavery witnesses who also deserved a hearing, who had no safety concerns about the town, and Whitfield needed to come along so he could cross-examine them and help the committee learn the truth of things. If Whitfield didn’t feel personally safe enough, he could send his lawyer instead.